Back in June, it seemed that the latest installment in the Halloween franchise, Halloween Returns, was finally back on the right track. Marcus Dunstan (The Collector) was brought on to direct, working from a screenplay he co-wrote with his writing partner Patrick Melton, with Dimension Films claiming that production would begin this past summer. Filming never got under way, but director Marcus Dunstan revealed in September that he wants to cast Community star Gillian Jacobs as the female lead. Now it seems the long-gestating Halloween Returns has hit yet another stumbling block, with Bloody-Disgusting reporting that Dimension Films has lost the rights to the franchise as a whole. The Wrap has also confirmed the news, adding that Marcus Dunstan is no longer involved with the project, and Miramax is looking to start fresh with producer Malek Akkad. Miramax is reportedly shopping the franchise around to find a new distributor for Halloween Returns. Malek Akkad teased that this new installment may be delayed, in an interview from October with Daily Dead. "Unfortunately things happen in Hollywood where you have issues with studios and different variables-we've had to take a step back and now we're trying to refigure this beast that is the new Halloween. So there is a bit of a delay with this sequel now. But I do think it is a good thing for the franchise. It's only going to be resulting in a better film, which I hope the fans appreciate. But this new Halloween isn't going to be quite what has been announced and what people are expecting, so we're making some changes there as well." Dimension Films, the genre division of The Weinstein Company, had previously controlled the beloved Michael Myers franchise for the past 20 years, starting in 1995 with Halloween: The Curse of Michael Myers. 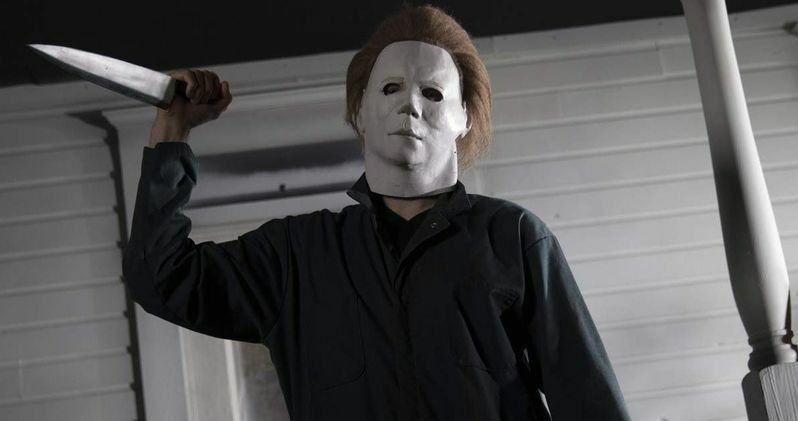 The studio went on to produce 1998's Halloween: H20, 2002's Halloween: Resurrection and director Rob Zombie's 2007 Halloween remake and its sequel, Halloween II. It isn't known if Miramax is currently seeking a new writer and director, or if this project will still retain the title Halloween Returns. The Halloween franchise runs in the family for producer Malek Akkad. His father, Moustapha Akkad, served as an executive producer on John Carpenter's 1978 classic Halloween, and all of its sequels, before he passed away in 2005. Malek Akkad first served as an associate producer on Halloween: The Curse of Michael Myers, and he served as a producer, associate producer or executive producer on all of Dimension's Halloween projects. We'll be sure to keep you updated on Halloween Returns as soon as more information becomes available about the future of this horror movie franchise..